Smoky and savory + sweet and simple = Shannon's crazy good cheese and cracker appetizers! 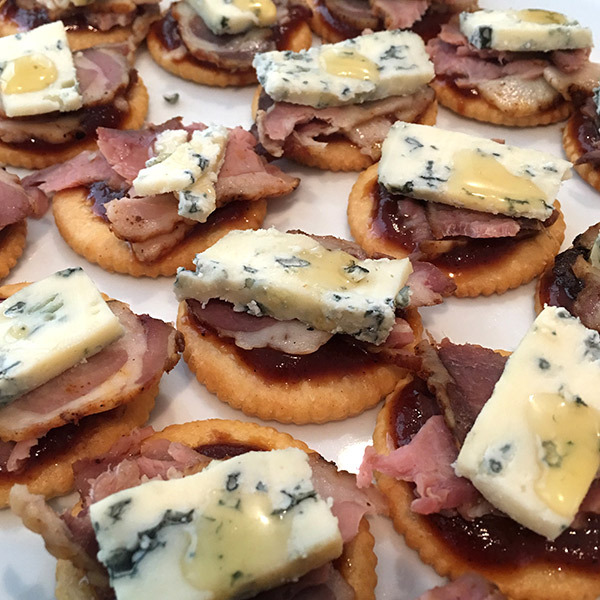 In this easy recipe, Shannon tops Ritz crackers with bottled BBQ sauce, smoked beef brisket, smoked blue cheese and a drizzle of honey to create bite-size appetizers packed with big flavor. Simply delish! Layer each cracker with barbecue sauce, brisket and smoked blue cheese. Top with a drop of honey. Tip: If you decide to smoke your own blue cheese, I recommend freezing it before you throw it in the smoker.